Our booth will be located in Hall 5.1 and its number - A77, please don't forget! As in the past, every visitor will have a chance to try out Violet microphones and meet our friendly team. Don't miss it! 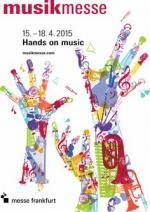 See you all at Musik Messe 2015 in Frankfurt at booth A77 in Hall 5.1 !